Have you checked the fantastic Corfu Photos, uploaded by Greeka and our members? We have chosen the best pictures of Corfu from our database and uploaded them in this section. See major tourist locations on the island, such as photos of Corfu Town, Paleokastritsa, Sidari, Kassiopi, Acharavi, Kanoni, and more. Also see photos of important monuments in Corfu, including Venetian castles, the Achillion Palace, the Mouse island, the Monastery of Paleokastritsa, the miracle-working church of Saint Spyridon, and more. Members of Greeka.com have also uploaded their photos of Corfu. Some photos are professional, others are amateurish, but they all show their love for this special place in Greece. 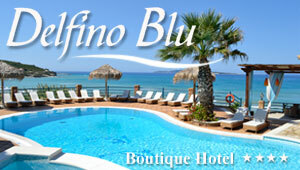 If you have some Corfu Photos, feel welcome to upload them in our website. Sign up with Greeka and start sharing your experiences from Corfu. If you already have an account in Greeka, just log in. Also, if you want to see Corfu live, why don't you have a look at some webcams?